When I first discovered what these girls were doing I was giddy. Giddy I tell ya! 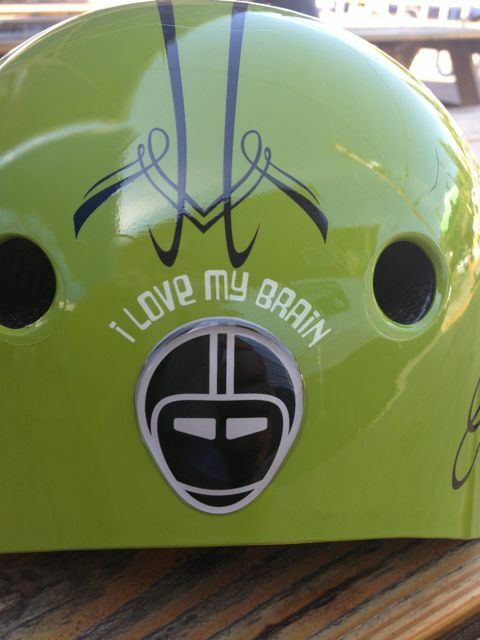 You see, they like to bike and they like beer. 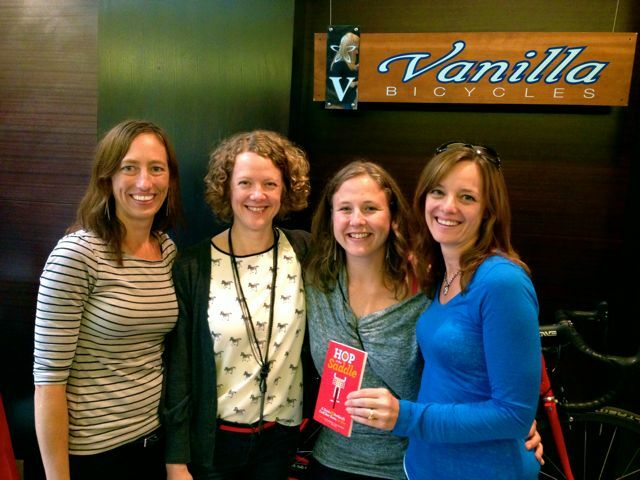 They have taken the passion for both and they have created the book Hop in the Saddle. It doesn’t get any more Portland than that. With our bike friendly streets and our plethora of breweries putting these two together was pure genius. I was also pretty excited when I got to meet these authors in person. Seriously, what am I even looking at? The book is very detailed with dividing the city in to sections, so you can choose an area to ride. They have done some great research on all the breweries in the areas, and given you perfect directions to get to each and every one of them on each route. If the route doesn’t look quite long enough for your biking experience they have added additional miles to each route. 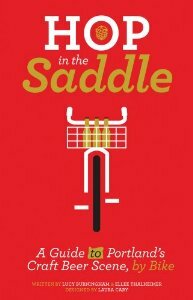 Hop in the Saddle is a great book to have and a great book to give as a gift to all your friends that love beer and love biking. Even if you are not that into biking this book is still a great resource. As I was showing it to my friends, who don’t prefer to bike, their comment was we could do a few of the shorter routes on foot, and I surely think we could. It would be a great day. Today is your lucky day, because I am giving away one copy of Hop in the Saddle to one of my readers. You can choose whether you keep it or give it as a gift. I personally think you need to keep this little gem, but that’s up to you. Like my Facebook page you want to do this so you don’t miss out on my giveaways. This giveaway will run through the weekend. I will announce the winner Monday afternoon. The Winner is Nicole. Congrats and please email me with your contact info. I agree with Nicole – BBQ and beer are a beautiful match made in heaven. For instance, some Southland Whiskey Kitchen pulled pork sliders and a Rogue Dead Guy Ale…mmm. And both Facebook pages liked! I have seen this book at Powell’s on one of my recent trips to the airport – facebook page has been liked! My #1 favorite beer of all time is Boneyard IPA. It’s very hoppy with a grapefruit flavor. 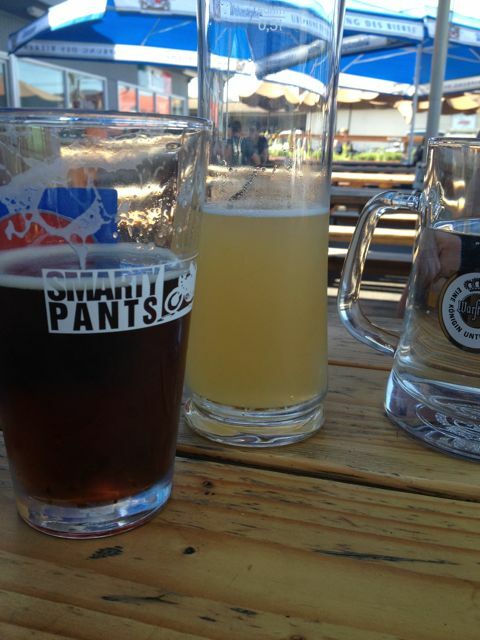 I’d definitely drink that beer with spicy food–Asian, Mexican, doesn’t matter. Spicy food + hoppy beer! !